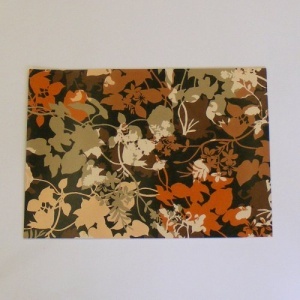 This is a bold brown and orange flower printed leather, 1.7mm thick. 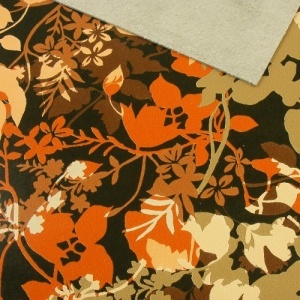 The floral pattern is printed onto a smooth, chrome tanned leather with a pale grey core and reverse. This leather would look beautiful made into notebooks, purses etc and would also make attractive bracelets if backed with a thin lining. This is a 30x60cm sized rectangle of leather. Please note, the photo shows an A4 sized piece of leather so you can see the scale and direction of the pattern.